Daemen is in the midst of incredible campus beautification and enhancement. Many strategic moves have been made not only to beautify the campus, but also to maximize utilization of campus space. 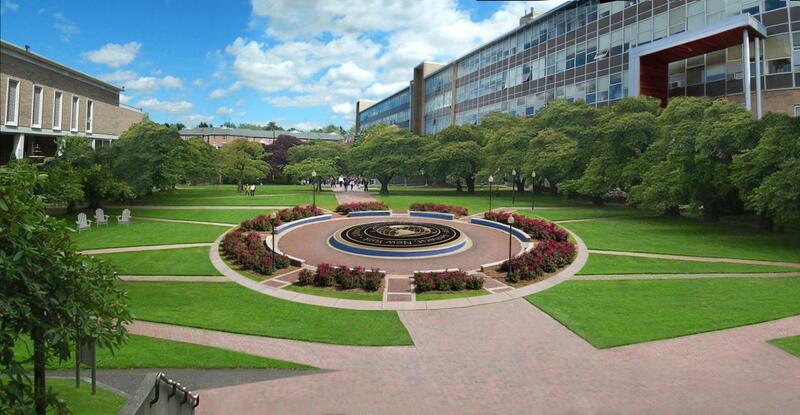 The centerpiece of this transformational plan is Daemen Square, which will become the central heart of our campus. A park-like quadrangle, Daemen Square will bridge Wick Campus Center to Duns Scotus Hall and provide a gathering place for students, faculty and local community members. Daemen Square will enhance the collegial aesthetics of our physical space, and will provide a vast space for discourse, recreation, and creative expression. Daemen Square will build on Daemen’s tradition of having a close-knit community of students and faculty. It will complement the Wick Campus Center as the primary spaces on campus for students and faculty to gather, teach, and learn. Much of the learning during college comes from lessons out of the classroom. The social benefits of Daemen Square and Wick Campus Center teach students to interact with a diverse community and to become more worldly and imaginative people. Daemen College is proud to be a new member of Division II of the National Collegiate Athletic Association (NCAA). This division promotes a strong balance between competitive athletic contests with high level academic achievement, to build student leaders both on and off the playing surface. Often the most visible aspect of any college or university, athletics play an integral role in building and bolstering Daemen’s visibility in our local community, as well as on regional and national scales. With capacity crowds at many sporting events, Daemen has seen great success in involving the student body, and the greater community, in the shared passion of our Wildcats. Much as the physical needs of academic spaces have evolved, so to have the spatial needs of athletic facilities. With visionary plans to expand our athletic facilities, Daemen seeks to further the role that athletics plays in student recruitment, not only of student-athletes themselves, but of the larger population of students at large that view athletics as important to their college experience. Your support is vital and helps fund visionary facility enhancements that embody the quality and reputation of a college of national distinction.